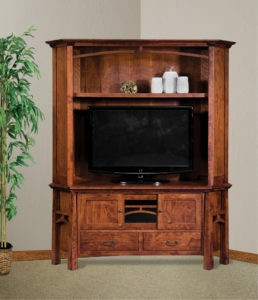 Choose one of the Corner TV Cabinets and Stands from Brandenberrry. 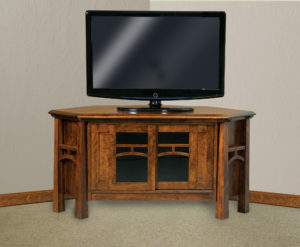 And transform a corner of your living room or den into an entertainment center like none other. 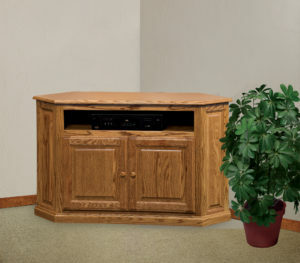 Because our corner TV units are Amish custom-built of solid hardwood. 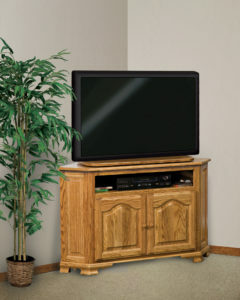 For strength, durability and great looks. 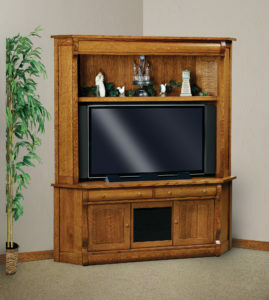 If you’re looking for a solid hardwood corner TV cabinet or TV stand, you have lots of excellent choices at Brandenberry. 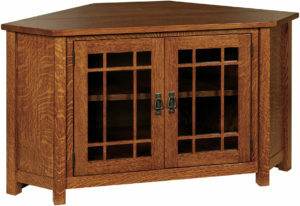 As you can see from the large selection above. 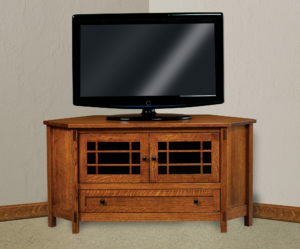 Looking for a smaller size TV cabinet? 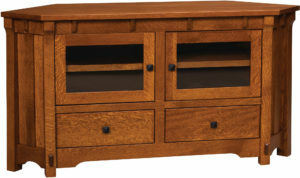 You may wish to check out units like the Rio Mission Small Corner TV Stand or the Kenwood Small Corner TV Stand. 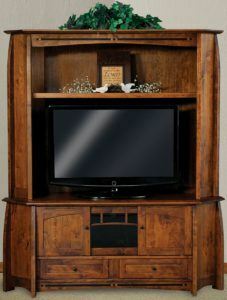 Or maybe you’re interested in a large entertainment center, such as the Boulder Creek Two Door Corner Entertainment Center. 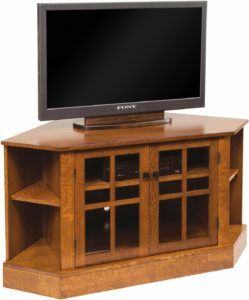 Or, you may prefer something in between. 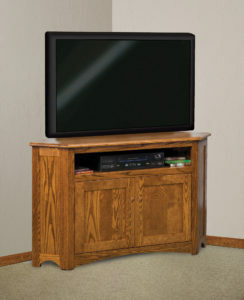 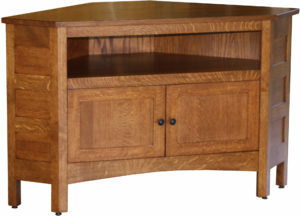 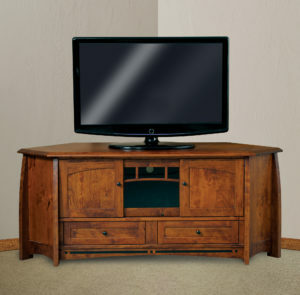 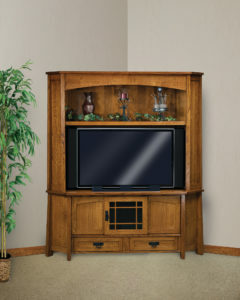 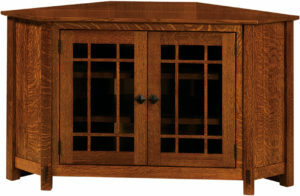 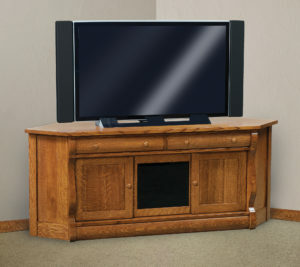 Amish craftsmen meticulously handcraft each corner TV cabinet and TV stand. 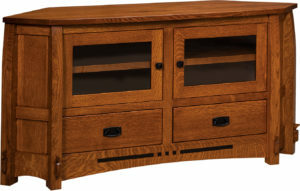 And they use solid hardwoods like maple, oak, cherry or hickory. 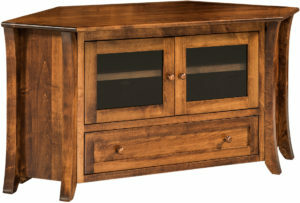 So the units are very sturdy. 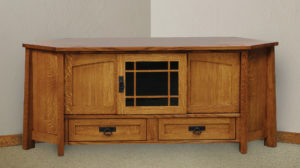 In fact, with proper care, the corner TV cabinet or TV stand you choose should last for decades to come. 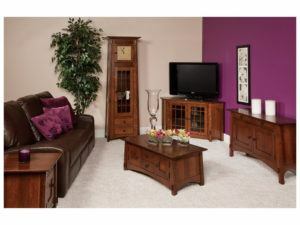 If you get close to Shipshewana, Indiana (We’re close to the 80/90 toll road), come visit our ‘brick and mortar’ store. 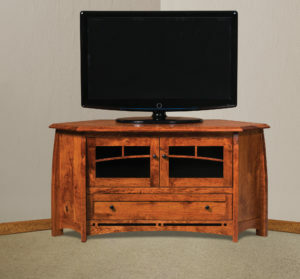 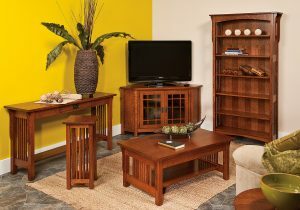 And check out our entire line of corner entertainment centers, as well as of other solid hardwood, custom Amish furniture.